Do not BLOT out your subscription to The Spokesman Review. 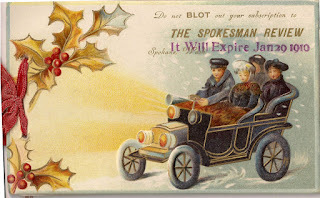 It Will Expire Jan 29, 1910. Let us break the news to you! We miss your name from our subscription list. 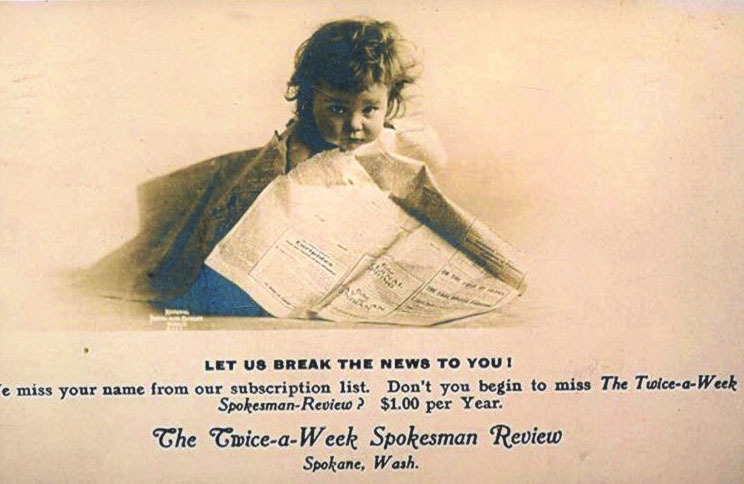 Don't you begin to miss The Twice-a-Week Spokesman-Review? $1.00 per Year. The Twice-a-Week Spokesman Review, Spokane, Wash.